We believe that art infusing the lives of Calgarians has the power to build our city. Our “why” forms the basis of our strategic plan. The plan has been guided by Living a Creative Life: An Arts Development Strategy for Calgary as well as our core values: creativity, collaboration, authenticity, diversity, optimization and wise judgement. Our Strategic Plan has been guided by and developed in support of Calgary’s first long-term arts development strategy, Living a Creative Life. The strategy was produced through a rigorous consultation process facilitated by Calgary Arts Development and is a result of our year as a Cultural Capital of Canada in 2012. It has been supported by City Council and many other passionate signatories. Mission: We are an arts development agency that supports and strengthens the arts to benefit all Calgarians. All strategic priorities in this plan align to this four-year outcome. Calgarians increasingly value the arts. The arts provide a return on investment that is supported by metrics. The arts improve quality of life, which helps the corporate sector attract and retain talent. Our city’s population and communities are increasingly diverse. Calgary’s prosperity can help create opportunities for artists and arts organizations. City Council unanimously supports Living a Creative Life. City Council’s Action Plan priorities align to Calgary Arts Development’s investment strategies. There is a high expectation to show increased impact with current investments, i.e., to do more with less. Demand for arts experiences is increasing. More artists and arts organizations are demonstrating activity that merits public investment consideration. Arts organizations are exploring new models that encourage resilience and innovation. Artists are accessing new earning potential as their work is increasingly valued and integrated across civic life. Our strategy must be in support of our “why” and City Council’s priorities. Many organizations seek to partner and collaborate with us. A focused, sufficiently resourced strategy will allow us to effectively engage with communities to achieve the vision of Living a Creative Life. Calgary Arts Development continues its leadership role in the arts and with other stakeholders to make the arts integral to the lives of Calgarians. Calgarians and organizations advocate for the arts to their peers. Develop and encourage arts champions in many sectors and communities in Calgary. Calgary Arts Development is considered a leader by our sector and our peers locally, nationally and internationally. Strengthen our position as an arts champion and advocate. Strengthen our relationship and collaborative efforts with City administration. Focus resources on developing relationships with civic leaders, community leaders, arts sector and peer organizations to ensure we align with their arts-related needs. Create an overarching communications strategy that develops a consistent style and quality of our brand. Calgarians understand the value of the arts as multifaceted and impactful at the individual, community and city levels. Undertake research projects that provide empirical support of how the arts strengthen communities and cities. Calgary Arts Development fosters collaborative relationships across sectors and communities to help ensure that all Calgarians can experience art in their everyday lives. Living a Creative Life becomes the shared vision of many communities and has a positive and measurable impact on Calgarians. Catalyze initiatives spearheaded by Living a Creative Life signatories that have a positive impact on the strategy’s tactics, drivers and outcomes. The arts sector collaborates internally and with strategically engaged partners in other sectors. Maximize our abilities as a hub, connector and catalyst through community engagement and building relationships. Strategically align with and support partners’ communications campaigns. Calgary Arts Development actively expands its engagement of Calgarians as arts supporters and participants. Strategically invest in arts opportunities throughout Calgary. 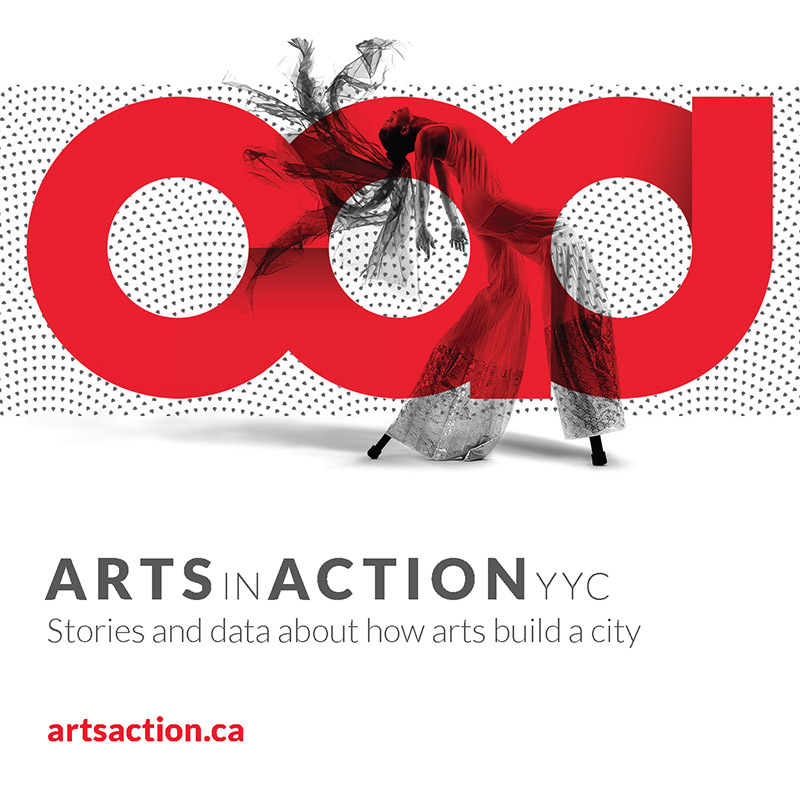 Strategically leverage and communicate the stories of Calgary’s arts communities. Calgary Arts Development identifies ways to increase and sustain our finances and expertise, and apply these resources equitably for greater impact. Calgary Arts Development leverages existing resources in pursuit of new support for the sector. Assess our current and potential fund development initiatives to ensure we do not undermine arts organizations’ fund development activities. Develop awareness of the value of the arts with new sponsors and donors, and provide opportunities for investment through our programs. Establish at least one partnership, program or opportunity funded by new sponsors, donors or other new sources. Provide innovative approaches to arts investment to maximize public and artistic impact. Establish tactics to develop a Centre City arts district. Establish tactics to inspire opportunities for arts experiences in Calgary. Ensure that needs from all areas of the arts ecosystem are considered in the design and implementation of investment programs. Include Living a Creative Life in all program design. Provide ample known and trusted non-monetary resources in support of artists and arts organizations development. Collect information about relevant resources and disseminate it to Calgary’s arts communities. Research and develop tools that connect Calgary’s arts communities with non-monetary resources. Calgary Arts Development is committed to the use of data and indicators to guide decision-making internally and improve performance on our strategies. Our 2015 – 2018 Strategic Plan includes 35 internal Key Performance Indicators that we will track to evaluate the success of our strategies and activities. We will continue to refine these indicators to ensure they properly assess our performance and progress. Participation is defined broadly and includes attendance, volunteering, personal practice, educational pursuits and many other forms of arts participation. Arts activities include those that Calgary Arts Development invests in, as well as those undertaken by Living a Creative Life signatories. Arts investments include cash investments through our grant programs, as well as the costs to deliver activities and programs that develop the arts sector. Investments from partners such as Living a Creative Life signatories will also be tracked. Partners, collaborators and investees include grant recipients, corporate partners, sponsors, donors, as well as Living a Creative Life signatories and endorsers.